It seems like only recently the world of blogging and my Instagram feed's been blowing up with the mention/photo's of Imperial Leather products with what seems to be their new offering of retro candy scented shower gels and creams catching the attention of a whole bunch of people, truth be told these have in fact been around since the beginning of the year. Imperial Leathers have never been my first choice when it came to toiletries but I'll always remember my Grandparents having a bar of their soap and numerous products in their bathroom and when they passed away I didn't see much of the brand again until now. 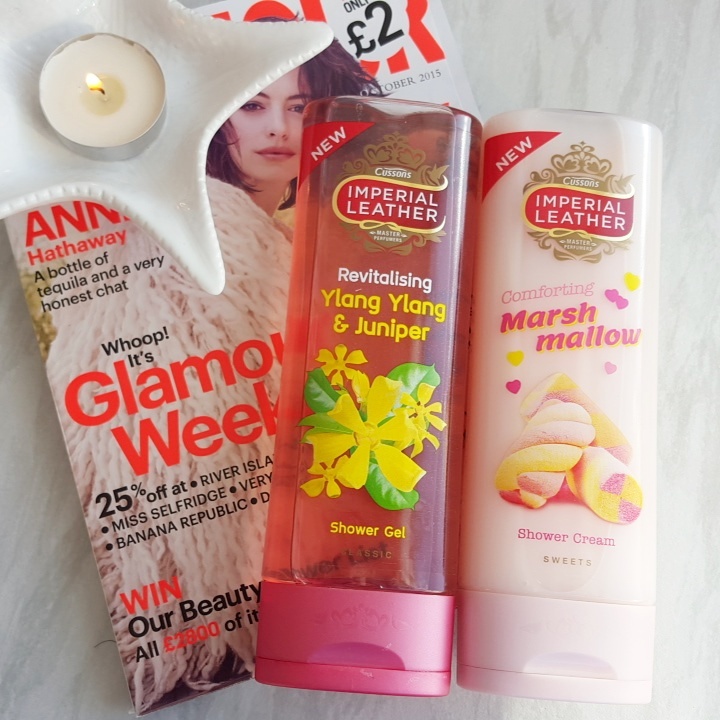 Whilst in Asda a couple of a weeks ago I spotted the Imperial Leather range on offer for 2 for £1.50 and decided to purchase a couple of bottles from their newbie range. The marshmallow shower cream was an obvious choice for me, I love marshmallows and this smells insanely good, it's certainly sweet but not overly and it's just got this real girly-ness about it that I love. I decided to go for a classic scent, too, and added ylang ylang and juniper to my basket - this is a more grown up scent with floral notes and an obvious choice with ylang ylang being a personal favourite. For the price I can't fault them, especially when on offer, the consistency is really different between the two with shower cream being smoother and just melting into the skin and the shower gel being a big more jelly like and easy to lather. The scent of the shower gel is much stronger too. Other popular choices are fruit salad and sherbet lemon that have been recommend to me on numerous occasions. Have you tried any of their new sweets range? I picked up the Fruit salad one a couple of weeks ago and I haven't given it a go yet but I'm definitely looking forward to using it!